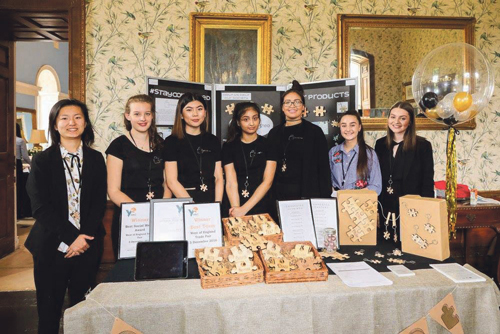 A PROJECT highlighting homelessness achieved unprecedented success at the Young Enterprise area finals in Bristol. Team Connected, from Colston's Girls' School (CGS), scooped five of the nine awards - including overall winner - and won through to the regional finals in June. The sixth-form girls built a business selling keyrings and coasters in the shape of jigsaw pieces to symbolise the links that hold society together. They also made a film called The Missing Piece, in which they spoke to homeless people and highlighted some of the factors that caused this plight. The team was up against nine other schools at the area finals at Kingsweston House and came away with prizes for best trade stand, best company report, and best Bristol team. Olivia Wright was named best managing director and the girls took the overall best Company Programme title. Michael Roulston, head of careers and employability at CGS, said the girls had shown tremendous work ethic, dedication and commitment. “Team Connected performed exceptionally well and delivered the most professional and passionate pitch that I've ever seen from a Young Enterprise Team,” he said. The girls were delighted at their success and thanked Mr Roulston and their business adviser Richard Murphy for supporting them.